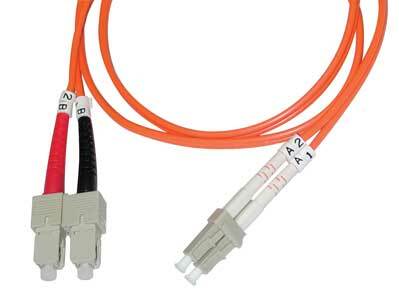 According to the ISO/IEC 11801, OM5 fiber specifies a wider range of wavelengths between 850nm and 953nm. It was created to support short wavelength division multiplexing (SWDM), which is one of the many new technologies being developed for transmitting 40Gb/s and 100Gb/s. In June 2016, ANSI/TIA-492AAAE, the new wideband multimode fiber standard, was approved for publication. And in October of 2016, OM5 fiber was announced as the official designation for cabling containing WBMMF (Wide Band Multimode Fiber) by ISO/IEC 11801. From then on, OM5 may be a potential new option for data centers that require greater link distances and higher speeds. OM4 vs. OM5: What's the Difference? Since OM1 and OM2 fiber can not support 25Gbps and 40Gbps data transmission speeds, OM3 and OM4 were the main choices for multimode fiber to support 25G, 40G and 100G Ethernet. However, it's becoming more costly for optical fiber cable to support next-generation Ethernet speed migration as bandwidth requirements increase. Against such a background, OM5 fiber was born to extend the benefits of multimode fiber in data centers. The key difference between them is that EMB is specified only at 850 nm for OM4 fiber at 4700 MHz-km, while OM5 EMB values are specified at both 850 nm and 953 nm and the value at 850 nm is greater than that of OM4. 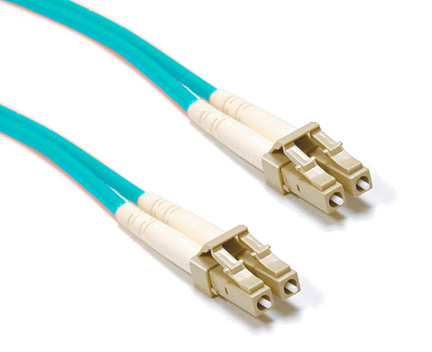 Therefore, OM5 fiber offers users longer length distances and more choices in optical fiber. In addition, TIA has specified lime green as the official cable jacket color for OM5, while OM4 is aqua jacket. And OM4 is designed for 10Gb/s, 40Gb/s, and 100Gb/s transmission, but OM5 is designed for 40Gb/s, and 100Gb/s transmission which reduces the fiber counts for high speed transmissions. What's more, OM5 cable can support four SWDM channels, each carrying 25G of data to deliver 100G Ethernet using a single pair of multimode fibers. 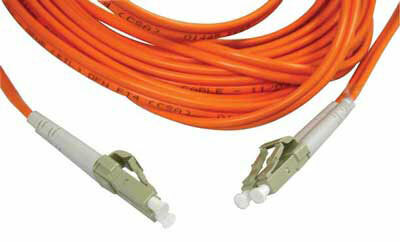 Besides, it is fully compatible with OM3 and OM4 fiber. OM5 is available globally for installations in multiple enterprise environments, from campuses to buildings to data centers. 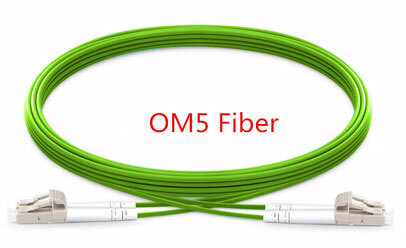 In a word, OM5 fiber is a better choice than OM4 on transmission distance, speed and cost.